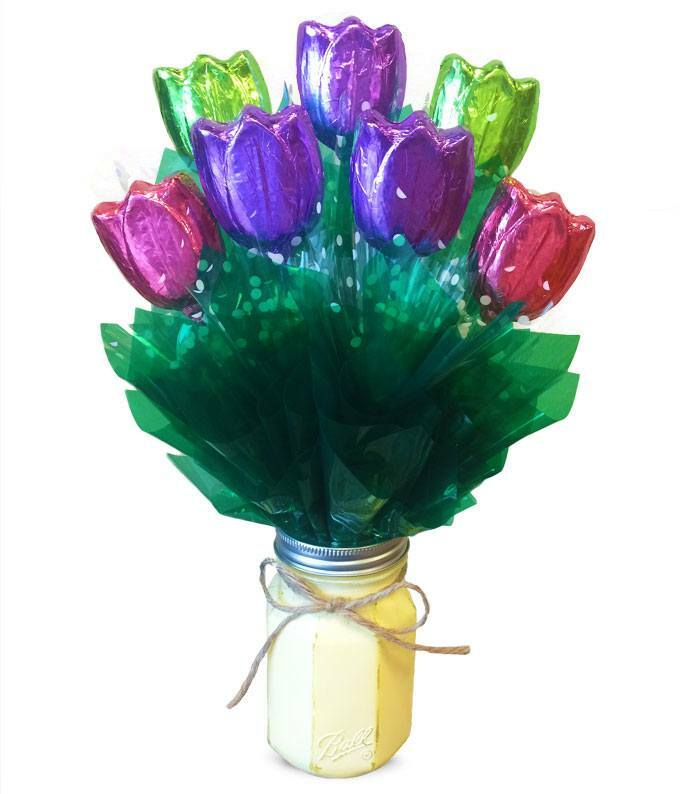 Send these sweet tulips to your loved one as a sign that spring is finally here! Put a smile on their face with this unique and creative gift! Tulips molded from premium chocolate and wrapped in foil.